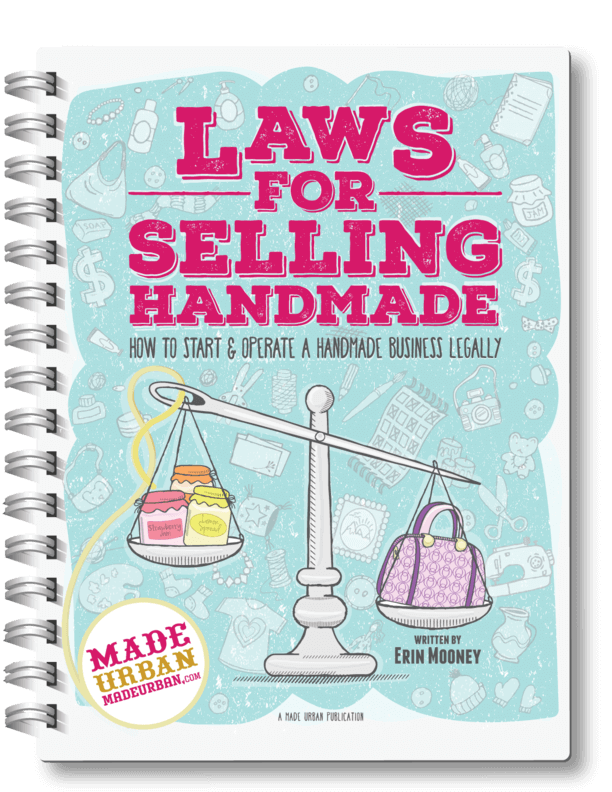 It doesn’t matter how small your handmade business is, if you’re selling cosmetics (soap, creams, lotions, nail polish, hair products, deodorants, etc.) you must follow labeling regulations and acts. Did you also know that if you make your products in the US but you ship them to CANADA, you must be aware of and follow Canadian laws, and visa versa? In the US, acts and regulations are governed by the FDA (Food & Drug Administration) & FTC (Federal Trade Commission). It’s important to understand the difference between a “cosmetic” and a “drug” or “natural health product” because they follow a very different set of rules and regulations when it comes to labeling, packaging and selling, which are not outlined in this article. You also need to be careful because if you’re selling a cosmetic but you represent it as a drug by claiming that it “treats” an ailment, you may effectively be classifying that cosmetic as a “drug”. The presence of a particular ingredient may also classify your cosmetic as a drug. When the claims of a product are both Cosmetic and Drug in nature, regulations pertaining to Drugs take precedence over those of Cosmetics. If your product is categorized as a Cosmetic, you can only make cosmetic claims. If your products is categorized as a Drug, you may make both drug and cosmetic claims for it. A cosmetic is defined by Health Canada as; any substance or mixture of substances, manufactured, sold or represented for use in cleansing, improving or altering the complexion, skin, hair or teeth and includes deodorants and perfumes. Also stated in their legislation; “handmade” cosmetics sold at craft sales or home-based businesses are included. Another good reminder that regardless of how small your business, you’re still responsible for following the rules. The Cosmetic Regulations requires manufacturers (and importers) to notify Health Canada within 10 days after they first sell a cosmetic in Canada. As well, if you make changes to the cosmetic’s formulation, name, discontinue sale of it or change your company’s name, address or contact information, you must submit another form notifying Health Canada. For more info on completing the form and for the form itself, you can follow this link. In the US, they describe cosmetics in a very similar manner to Canada, which is any substance or mixture of substances, manufactured, sold or represented for use in cleansing, improving or altering the complexion, skin, hair or teeth and includes deodorants and perfumes. In the US, cosmetic products and ingredients (with the exception of color additives) do not require approval from the FDA before they hit the market. Soap is a whole other category for US citizens. If your products meet the FDA’s definition of “soap”, they are exempt from the provisions of the FD&C Act. If your products meet the FDA’s definition of soap, you can contact the Consumer Product Safety Commission with any questions. If your soap consists of detergents or primarily of alkali salts of fatty acids and is intended to cleanse and moisturize (or provide another cosmetic benefit such as deodorizing, improving appearance, imparting fragrance, etc. ), it is not considered soap and must follow the rules of a cosmetic. Here are some FAQ’s on soap if you need a little more help figuring it out. Drugs need to follow additional acts and regulations. For a more in depth look at whether your product is classified as a Cosmetic, Drug or Natural Health Product, please click here. 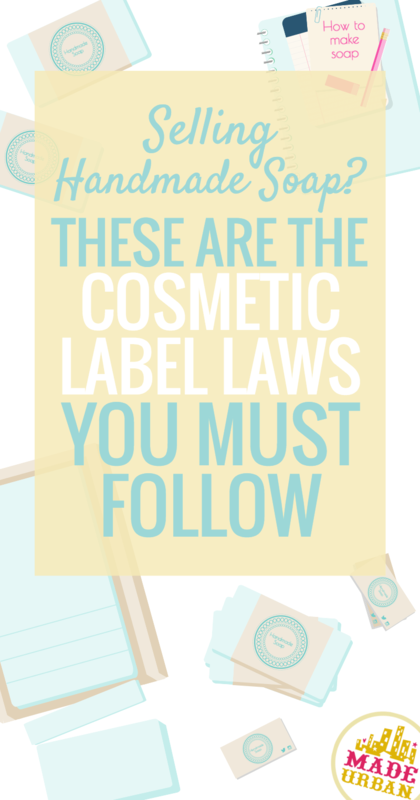 As mentioned, this article only outlines labeling and packaging for cosmetics. As a cosmetic, you cannot make claims that your product “cures”, “treats” or “prevents” diseases, disorders or abnormal physical states, or their symptoms. You may also be interested in the Cosmetic Ingredient Hotlist, which is a list of prohibited and restricted ingredients in Canada. On top of that, they are asking you to be sure that your products are safe for consumer use. The mandatory INCI ingredient labeling does not apply to drugs or natural health products. Incidental ingredients do not need to be included on the label. As defined by Health Canada, Incidental Ingredients are: any processing aid added and removed or converted to a declared ingredient, or any ingredient of another ingredient or processing aid present at an insignificant level and having no technical or functional effect. Product testers do not need to supply an ingredient list as they are usually close to the actual product for sale where consumers can read the ingredient list. A product must be identifiable. There are certain rules that you have to follow when it comes to selling a product that has both inner and outer labels. For example if you buy a bottle of shampoo that comes in a box. The inner label would be the bottle the shampoo comes in and the outer label would be the box that bottle comes in. For the sake of this article, I’m going to assume if you’re a small handmade business, you’re trying to watch your costs when it comes to packaging and you’re not packaging a package within a package. If you are, you can read up on regulations when it comes to inner and outer labels in section 4. All information that is required to appear on a label, other than the declaration of net quantity (see “Character Height” in section 5.1.1, “Outer Label Requirements”), must be shown in a manner easily legible under normal or customary conditions of sale or use and must be in letters of not less than 1.6 mm in height. When the area of the principal display surface is less than 10 cm2, the information may be in letters of no less than 0.8 mm in height. The minimum height of the characters corresponds to the height of an upper-case letter when only upper case is used. The minimum height corresponds to the height of the lower-case letter “o” when words appear in lower case only, or when both upper-case and lower-case letters are used. The Cosmetic Regulations do not require a declaration of net quantity of your product however the Consumer Packaging and Labelling Act and Regulations does. You can read over our guide here under 2) Product Net Quantity for more information. The name and address on your products must match the name and address you entered on your Cosmetic Notification Form. The name and address must appear on the outside surface of any package, anywhere except the bottom (unless it is an ornamental container). This section applies if you are selling items that present a hazard to the health of the user or are selling a flammable product or products in pressurized metal containers. When this is the case, you must clearly communicate the risk on the label and include instructions on how to eliminate the risk. These may be communicated through a combination of instructions, cautions, and symbols in both English and French. Please fully read section 7 if you are selling; mouthwashes, hair dyes, mercury-containing products, genital deodorants in pressurized containers or using pressurized metal containers in general. Not every hazard is explicitly prescribed in the Cosmetic Regulations. It is your responsibility to recognize an avoidable hazard and to eliminate it. The Cosmetic Regulations require that all cosmetic products sold in Canada must list the ingredients on the label using the INCI labeling system. INCI refers to the International Nomenclature for Cosmetic Ingredient name assigned to an ingredient in the International Cosmetic Ingredient (ICI) Dictionary and Handbook. Basically it is the terminology you must use when listing the ingredients for your cosmetics on your labels. These do not need to appear in English and French as INCI names are considered multi-lingual. The handbook is around $500 or you can search wINCI for an online version but that will cost you around $500 as well as you need a membership to view it. We don’t want to lead anyone astray here so we’ll tap the disclaimer at the top and warn that the official handbook will have the most up to date and proper information; however, you are able to find several INCI names online for free by Google-ing them. There are over 16,000 names in the handbook so if your ingredient lists are extensive, you may want to invest but Wikipedia has several common ones listed as one free example. If a cosmetic ingredient does not have an INCI name, the ingredient must be listed by its chemical name from a recognized source. Most ingredients do have an INCI name though. You may not use extra descriptive or marketing terminology in the ingredient list however you can include it elsewhere on the label. For example if you’re using Rose Water as an ingredient. You would need to list it as Rosa Damascena Flower Water in the ingredient list. If you also wanted to mention that the rose water is soothing, you may not include that text next to the ingredient but you can state it elsewhere on the label. The list of ingredients must appear so that the consumer can clearly read the list before purchasing. If you have an inner and outer container (i.e. shampoo is packaged in a bottle and that bottle is then packaged in a branded box), the ingredients must appear on the outer container as well. The bottom of a container may be used for the placement of the ingredient list when the shape of the container is flat. You may also use peel back labels or accordion type labels as long as they can stay intact and put back in place after being peeled back for reading. You also must indicate on the front of the label that the ingredient list is found behind the label. Bulk – if you’re selling your cosmetics in bulk or in a form that you’re unable to attach a tag or label to them, you must have a leaflet that can accompany the product at the point of sale. Small Containers – When the container is too small to list the ingredients on, you must have a tag attached to it in some manner. You may not use tear-away tags or leaflets in this case. Ornamental – if the container is ornamental and has a surface that doesn’t allow you to put an ingredient list on, you may affix it using a tag, tape or card. If you’re placing the ornamental container in a package, you must place the ingredient list on the outside of the package. outside of the package. If you’re creating a gift basket that is wrapped in cellophane, this is considered ornamental so you can attach a card to the outside of the basket with the ingredient list. Testers – as mentioned earlier, testers generally appear next to the actual cosmetic that is for sale, which should be properly labelled, therefore testers do not need an ingredient list. Samples – you must label samples in the same manner you label all other cosmetic products. There is no set font type or size that you have to use but your ingredient list must be clearly legible and remain so for as long as the consumer uses the product. This means you can’t use ink that will rub or rinse off as the consumer handles the package. When selling cosmetics that come in a variety of shades and colors such as nail polish, eyeshadows, etc. you may use a”±” symbol or “may contain”. That way you can create one ingredient label for all shades you sell and list all the colors used in your creations, instead of creating different labels for each color. In this case, you must list those ingredients last. Please see section 5 for more info on this. You must use the genus and species names of the ingredients or the complete INCI name. Please see section 6 for more info. The Cosmetic Regulations has names listed in the Schedule, which are considered “Trivial Names”. You must use the names exactly as they are mentioned in the Schedule of the Cosmetic Regulations. Please view their Appendix for a list of 57 ingredients that must appear exactly as they show them. You may choose to list these ingredients in EU form, English & French or using all 3 forms (EU, English & French). You must list your product’s ingredients in decreasing order by amount. The amount is determined by their concentration of weight (this does not necessarily apply to fragrance agents or coloring agents). If there is a concentration of 1% or less, they may be listed in random order after the decreasing order of ingredients present in more than 1%. “Aroma” is used in an ingredient list to indicate that substances have been added to the cosmetic to product or mask a particular taste. You may use the term “aroma” alone or with “flavor” (i.e. aroma OR aroma/flavor), however you are not able to list “flavor” on it’s own, it must be accompanied by “aroma” (i.e. flavor (aroma)). Ingredients that have been translated into French, or ingredients listed in foreign languages must be listed separately, not mixed with INCI names. A separate (but identical) ingredient list using another nomenclature system or language may follow the INCI list. Ingredients in cosmetics must not be separated as medicinal and non-medicinal ingredients (or active/inactive ingredients), since this would imply that the product is a drug or natural health product. Ingredients must not have descriptions (e.g. super-oxygenated water). Order of ingredients: [ingredients in descending order of concentration] + [flavour] + [fragrance] + [± or “may contain/peut contenir” colouring agents]. Punctuation: the difference between different ingredients must be clear. You may also want to include user instructions on the label. You cannot sell any cosmetic that has any filthy or decomposed substance in it or that was made, stored or packaged under unsanitary conditions. You cannot mislead the consumer in any way when it comes to your product. The proper labeling of personal care products was the most extensive of the guides we created. We aren’t able to cover everything in this article and it is meant to be an overview to relieve some confusion around it. Before you label or sell and personal care products, please thoroughly read through the complete acts and guidelines. This guide is also not kept up to date. There are regulations when it comes to containers and being child resistant. Please have a read over the Consumer Chemicals and Containers Regulations.